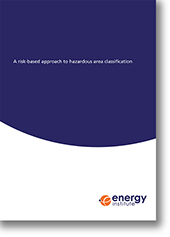 This report presents a risk-based approach which may be applied to the classification of an upstream or downstream petroleum sector facility by consideration of the individual point source procedure presented in section 3 of the EI Model Code of Safe Practice Part 15: Area classification for installations handling flammable fluids (EI 15). The content of this report is used in the 4th edition of EI 15 and as a source of reference for the application of the risk-based approach. The objective of this report was to develop a means for establishing the outer boundaries of Zone 2 hazardous areas taking account of the risks associated with contributory factors. This update contains the methodology for calculation of release hole sizes only. The calculation of hazardous radii (previously Annex D) is not included as this has been incorporated in the 3rd and 4th edition of EI 15. Includes the Quantra Ltd. report – Analysis of the HSE Hydrocarbon Release Database for use with EI 15. Release hole sizes for the risk-based approach have been revised based on the values provided by the Quantra Ltd. analysis and technical judgement of the Area Classification Working Group (see Annexes D and E and Table 6). Reference to the EI Research Report: Ignition probability review, model development and look up correlations as an alternative approach for determining Pign. Dispersion modelling calculations are now carried out by reference to EI Research Report: Dispersion modelling and calculations in support of EI Model code of safe practice Part 15: Area classification code for installations handling flammable fluids, that replaces 1st edition Annex D.